March 16, 2019 | Lucas Oil Stadium | Indianapolis, Ind. 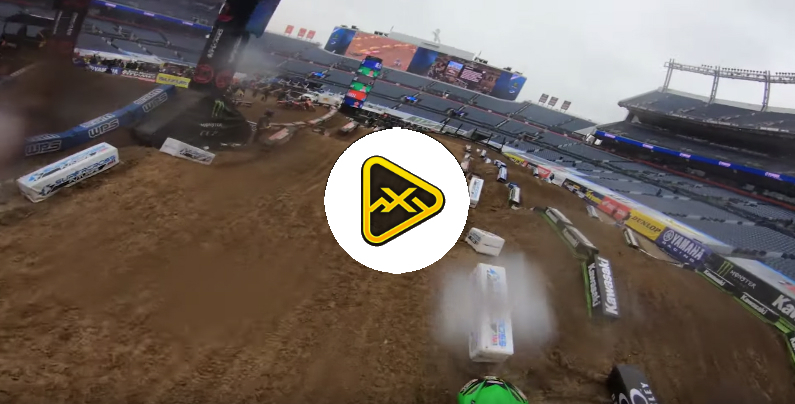 Foothill Ranch, Calif. (March 17, 2019) – Lucas Oil Stadium in Indianapolis, Indiana played host to Round 11 of the Monster Energy® AMA Supercross, an FIM World Championship that featured another dominant performance from Monster Energy/Pro Circuit/Kawasaki rider Austin Forkner who was able to capture his fifth win of the season and extend his championship points lead to 26 points with his teammate Martin Davalos finishing fifth. 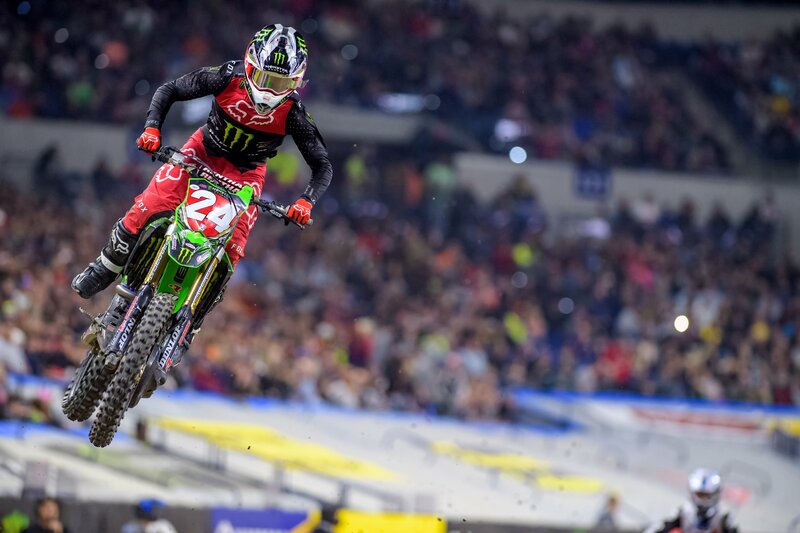 In the 450SX class, both Monster Energy Kawasaki riders of Eli Tomac and Joey Savatgy were able to string together consistent results with fourth and sixth place finishes respectively. After qualifying on pole once again, both Monster Energy/Pro Circuit/Kawasaki riders lined up in Heat 2 where it was once again Forkner beating everyone to the first corner, but a miscalculation caused him to get tangled with a tuff block that sent him straight to the ground. Forkner would quickly remount on his KX™ and work his way through the field to a fifth-place finish. 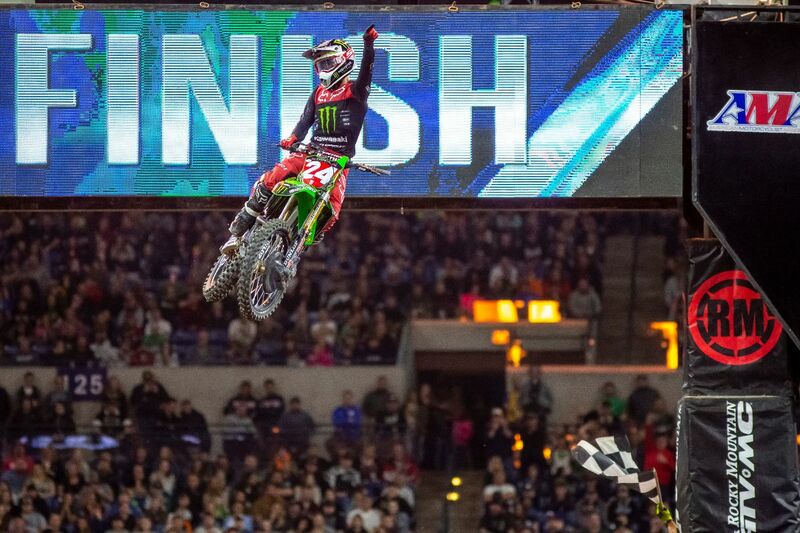 Meanwhile, it was Forkner’s teammate, Davalos, who put together an impressive ride where he rode in third much of the race and with two laps to go he passed into the lead but was passed back on the last lap crossing the finish line in second place. The main event hot streak continued for the No. 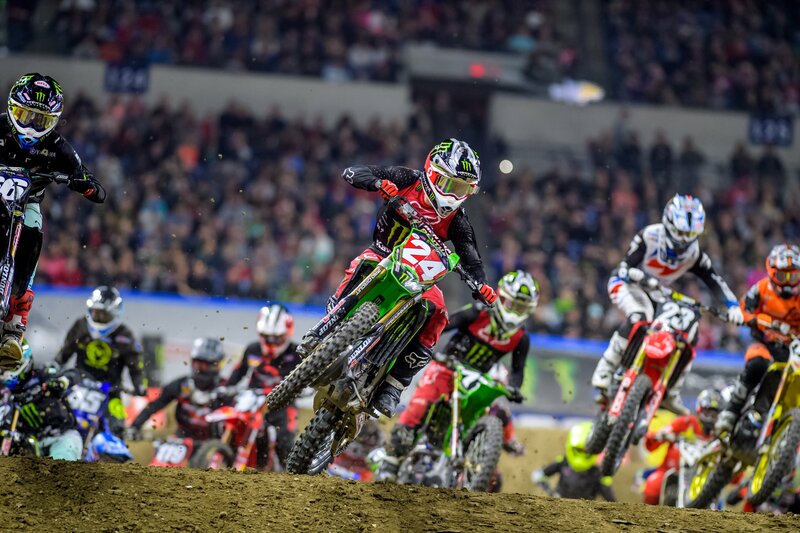 24 KX™250 as he once again nabbed the holeshot, led all 20 laps, and took the win in the 250SX Main Event. Forkner’s performance was so dominant that he was even able to lap riders all the way up to the ninth-place position. 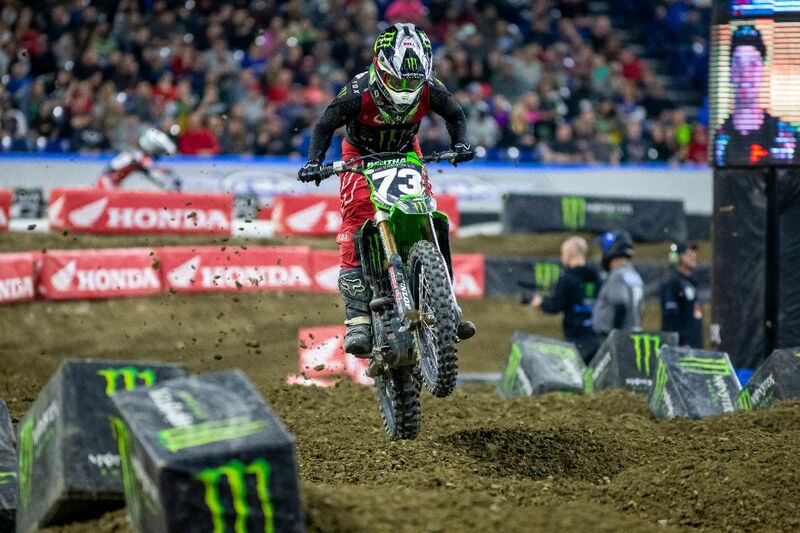 After six rounds of racing, Forkner has been the fastest qualifier four times, won four heat races, has six holeshots, won all three Triple Crown main events in Detroit, and won five out of the six races he has competed in. Five for five is how it goes for the No. 73 of Davalos with a fifth overall in the 250SX Main Event and currently sitting in fifth overall in the 250SX Eastern Region Championship Points Standings. Davalos was able to find his stride in Indianapolis as in both his heat race as well as the 250SX Main Event; he was a constant front-runner and podium contender that showed that he has the speed to compete.